Muhammad Dakhlalla, a U.S. citizen from Mississippi, was arrested on August 8, 2015, after attempting to travel to Syria to join ISIS with his fiancé, Jaelyn Young.“United States of America v. Jaelyn Delshaun Young and Muhammada Oda Dakhlalla,” United States District Court for the Northern District of Mississippi, May 21, 2015, New York Times, http://www.justice.gov/opa/file/705906/download. In March 2016, Dakhlalla and Young pled guilty to conspiring to provide material support to a foreign terrorist organization.“Mississippi Man Pleads Guilty in Terrorism Investigation,” U.S. Department of Justice, March 11, 2016, https://www.justice.gov/opa/pr/mississippi-man-pleads-guilty-terrorism-investigation; “Mississippi woman who tried to join ISIS pleads guilty,” CBS News, http://www.cbsnews.com/news/jaelyn-young-mississippi-woman-who-tried-to-join-isis-pleads-guilty/.< In late August 2016, a U.S. district judge sentenced Dakhlalla to eight years in prison and 15 years of probation. At his sentencing, Dakhlalla publicly condemned ISIS, saying that he had been misled by the group’s propaganda videos online. “I was completely wrong about what ISIS was…I’ve come to the conclusion that they’re really sick and twisted. They twist Islam for their own agenda. I denounce them. I condemn them,” Dakhlalla told the court.Jeff Amy, “Mississippi Islamic State recruit gets 8 years in prison,” Associated Press, August 24, 2016, http://bigstory.ap.org/article/d3dc6118437b4741991040ffd0e8311e/mississippi-islamic-state-recruit-gets-8-years-prison. Jaelyn Young was sentenced to 12 years in prison earlier in August.Jeff Amy, “Mississippi woman gets 12-year sentence on terrorism charge,” Associated Press, August 11, 2016, http://bigstory.ap.org/article/383e88cda66c44b6a66c9536a9eb0bbf/mississippi-woman-be-sentenced-terrorism-charges. Before their attempt to join ISIS abroad, Dakhlalla and Young had allegedly engaged in numerous conversations on social media sites with FBI agents posing as ISIS recruiters, dating back to May 2015.“United States of America v. Jaelyn Delshaun Young and Muhammada Oda Dakhlalla,” United States District Court for the Northern District of Mississippi, May 21, 2015, New York Times, http://www.justice.gov/opa/file/705906/download. During his correspondence with the undercover agents, Dakhlalla allegedly expressed an interest in fighting for ISIS.“United States of America v. Jaelyn Delshaun Young and Muhammada Oda Dakhlalla,” United States District Court for the Northern District of Mississippi, May 21, 2015, New York Times, http://www.justice.gov/opa/file/705906/download. He professed his willingness to fight, and said that he “wanted to be taught what it really means to have that heart in battle.”Chris Thies, “Timeline of events leading to the arrest of alleged ISIS recruits,” KMOV St Louis, August 13, 2015, http://www.kmov.com/story/29784129/timeline-of-events-leading-to-the-arrest-of-alleged-isis-recruits. Dakhlalla and Young reportedly obtained Turkish visas and purchased airline tickets. On August 7, 2015, the couple purchased tickets for Delta Airlines flight 5703, which departed from Columbus, Mississippi, with a final destination of Istanbul, Turkey.Chris Thies, “Timeline of events leading to the arrest of alleged ISIS recruits,” KMOV St Louis, August 13, 2015, http://www.kmov.com/story/29784129/timeline-of-events-leading-to-the-arrest-of-alleged-isis-recruits. They were arrested the next day at Golden Triangle Regional Airport in Columbus.Chris Thies, “Timeline of events leading to the arrest of alleged ISIS recruits,” KMOV St Louis, August 13, 2015, http://www.kmov.com/story/29784129/timeline-of-events-leading-to-the-arrest-of-alleged-isis-recruits. On August 11, 2015, a federal magistrate in Mississippi ordered that Dakhlalla and Young be held without bail.Jeff Amy, “No bail for couple accused of trying to join Islamic State,” August 11, 2015, Washington Post, http://www.washingtonpost.com/national/charge-2-mississippi-residents-aimed-to-join-islamic-state/2015/08/10/f6da8f72-3fd3-11e5-b2c4-af4c6183b8b4_story.html. The pair was charged with attempting and conspiring to knowingly provide material support and resources to a foreign terrorist organization. They face up to 20 years in prison if convicted.Richard Fausset, “Young Mississippi Couple Linked to ISIS, Perplexing All,” August 14, 2015, New York Times, http://www.nytimes.com/2015/08/15/us/disbelief-in-mississippi-at-how-far-isis-message-can-travel.html?_r=0. Dakhlalla graduated from college with a psychology degree in May of 2015 and told his family that he was starting graduate school at Mississippi State University in August of 2015. 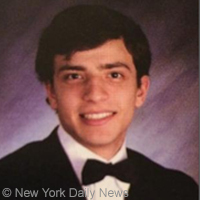 Though he was accepted into the graduate program, Dakhlalla had never enrolled.Jason Silverstein, “Young Mississippi couple planned to marry and join ISIS in Syria: officials,” New York Daily News, August 11, 2015, http://www.nydailynews.com/news/national/young-mississippi-couple-planned-marry-join-isis-article-1.2321769. Muhammad Dakhlalla, a U.S. citizen from Mississippi, was arrested on August 8, 2015, after attempting to travel to Syria to join ISIS with his fiancé, Jaelyn Young. “I wish to be a mujahid akhi. I am willing to fight. I want to be taught what it really means to have that heart in battle!”(Facebook message, suspected)“United States of America v. Jaelyn Delshaun Young and Muhammada Oda Dakhlalla,” United States District Court for the Northern District of Mississippi, May 21, 2015, http://www.justice.gov/opa/file/705906/download. “I wanted to ask about the military experience there. Would I be with people that speak English as well or do they put me in with everyone as basic training? I am excited about coming to Dawlah [ISIS-controlled territory], but I feel I won’t know what all I will be doing.” (Facebook message, suspected)“United States of America v. Jaelyn Delshaun Young and Muhammada Oda Dakhlalla,” United States District Court for the Northern District of Mississippi, May 21, 2015, http://www.justice.gov/opa/file/705906/download.